We present two experimental metrics named dief@t and dief@k which are able to capture and quantify the behavior of any system that produces results incrementally. 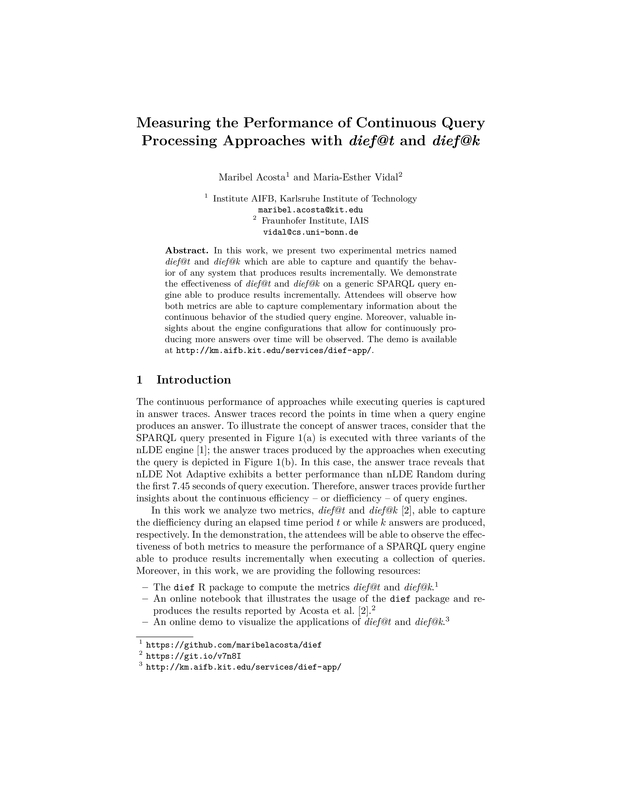 We demonstrate the effectiveness of dief@t and dief@k on a generic SPARQL query engine able to produce results incrementally. 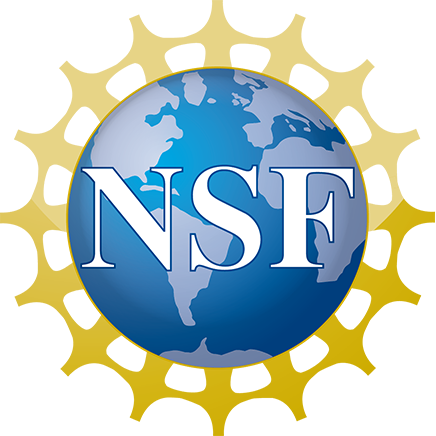 Attendees will observe how both metrics are able to capture complementary information about the continuous behavior of the studied query engine. Moreover, valuable insights about the engine configurations that allow for continuously producing more answers over time will be observed as well. The demo is available at https://maribelacosta.shinyapps.io/dief-app/.